The first step is to create a background graphic to you wish to use as the background to each box. This can be done easily in quickly. The image below was created in Paint.NET using a simple gradient fill. 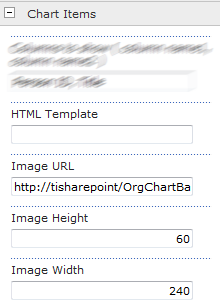 The image must be loaded onto a suitable location on the SharePoint site, for example into a Picture Library. 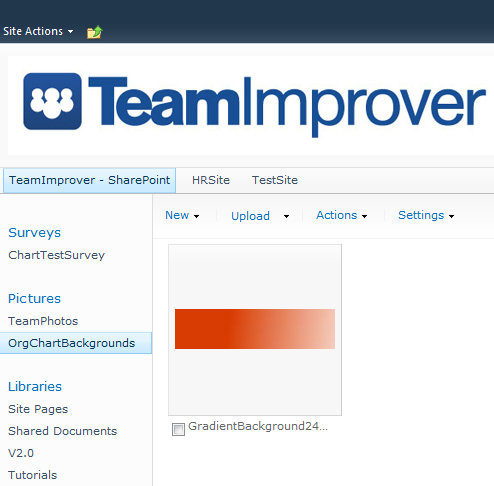 The final step is to configure the SharePoint Org Chart Web Part to use the custom graphic. For this you will need the full URL to the image. In the Chart Items configuration section set the property Image URL to the URL of the image. Set the properties Customer Box Height and Customer Box Width to the height and width of the image.